Our Pale Ale has a hoppier finish than regular Pale Ale’s, but with lower alcohol than an IPA. Light and bright in colour, citrus and floral notes with balanced bitterness and malt. Made with Ella hops (Australian little sister to Galaxy), Mosaic hops (famous American), Motueka, and Cascade hops (one of the most famous American). Ale malt is the base with toffee and crystal malts as specialty additions. We were the Top 10 finalist in Brand South Australia Limestone Coast Regional awards in 2016. It all started in 2014 with 3 Breville juicers in a back shed. 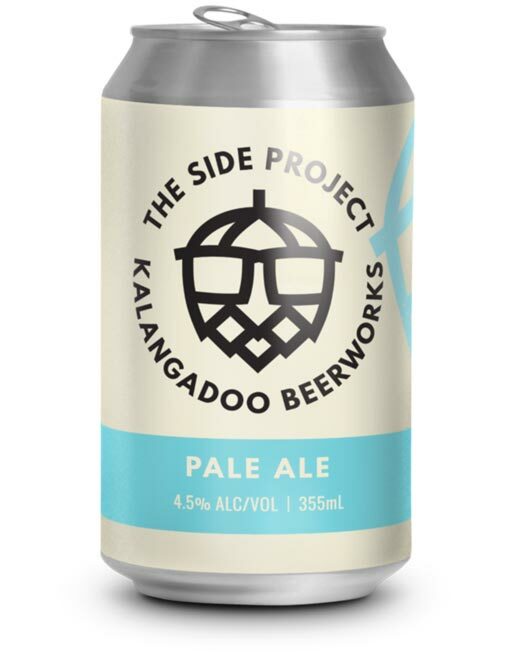 Today our Side Project has grown into a independent craft cider and beerworks, that proudly calls Kalangadoo and the Limestone Coast home. We pride ourselves on creating genuine craft, small batch products made by hand and from scratch.